Dear mother of Erin O'Hara (Michael) O'Connor and the late Kathleen Antoncich Ewald. Loving grandmother of Kenneth Gordon and Christopher Ewald; sister of John W. (Sherrie) Purvis. 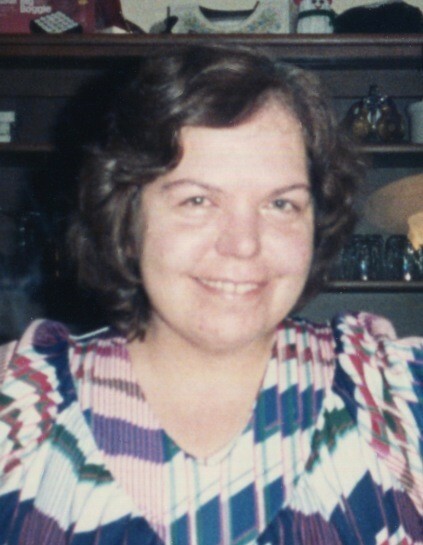 Daughter of the late Charles W. and Regina Borowski Purvis; also survived by many nieces and nephews. All are invited to a Memorial Service at D. LAWRENCE GINNANE FUNERAL HOME, 3215 Delaware Avenue Kenmore, NY Sunday (January 20th) at 1:00 PM. Visitation starts at 12:00 PM. Final Resting place is Lynhaven Cemetery, Lyndonville, NY. Memorials to Big Bend Hospice, Inc. 1723 Mahan Center Blvd. Tallahassee, FL 32308, are prefered.